As a kid, one of my chores was washing the dishes. I hated it. This was before dishwashers (or maybe just before most houses had one), so I scrubbed all the cutlery, plates, cups, and pots by hand. I have semi-fond memories of spending what felt like an hour every night with my hands in hot water. Now I've grown up and we have a dishwasher. While I still wash some items by hand, I've grown quite accustomed to my favorite kitchen buddy. But when my pal breaks down or starts acting funny, my dishes pay the price. Since I'd prefer not to spend oodles repairing this tool, I've done a bit of research for ways to get my dishwasher back in top-shape on my own. This may seem counterintuitive. If your dishwasher is cleaning your dishes, isn't your dishwasher getting cleaned at the same time? Nope. Start by removing any loose debris from the bottom of the dishwasher. (Don't forget to wipe down the filter at the bottom). Then run your empty dishwasher with a glass of vinegar on the top shelf. If your dishwasher isn't cleaning properly, one of the best solutions is to remove the lower spray arm (check your manual to see if and how this is possible). You'll want to clean out each of the holes with a steel wire or wire hanger. Then soak the arms in vinegar to remove any excess debris before putting them back into the machine. 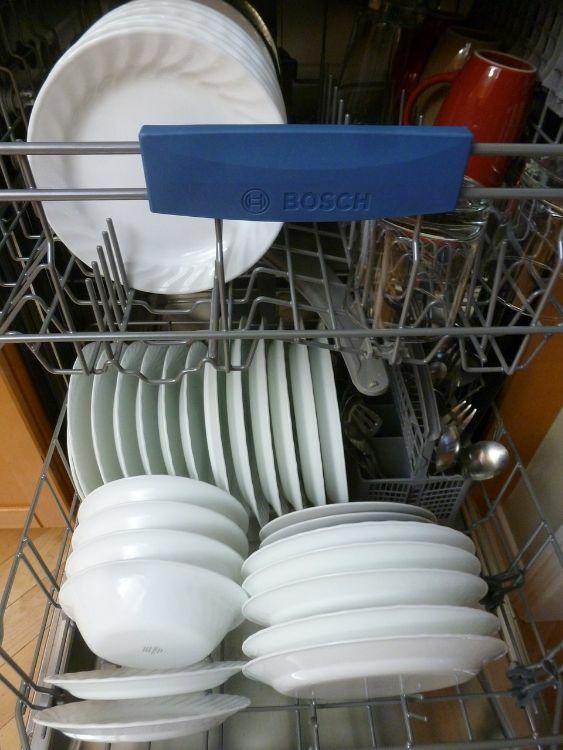 Keep your dishwasher cleaner, longer, but scraping off excess bits of food from your plates. You do not need to prewash or even rinse them though. In fact, some dish soap actually works better with grease because it provides friction for the soap. Any type of debris in your dishwasher can make your dishes look nasty. 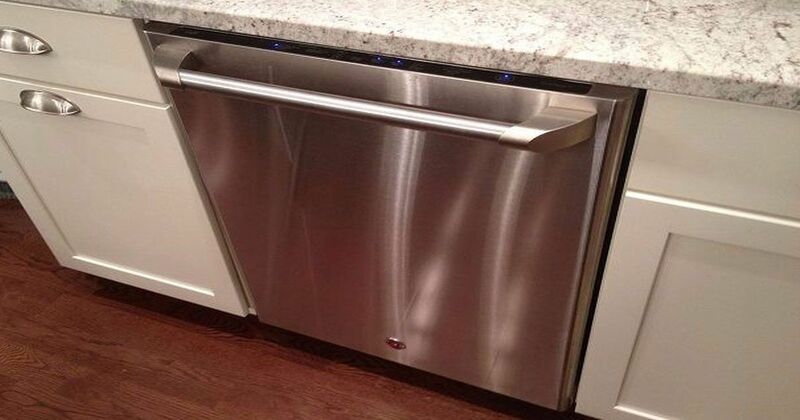 Make sure to tackle to doors and seals of the dishwasher. Use a toothbrush and some vinegar to remove grime from around the edges of your dishwasher. 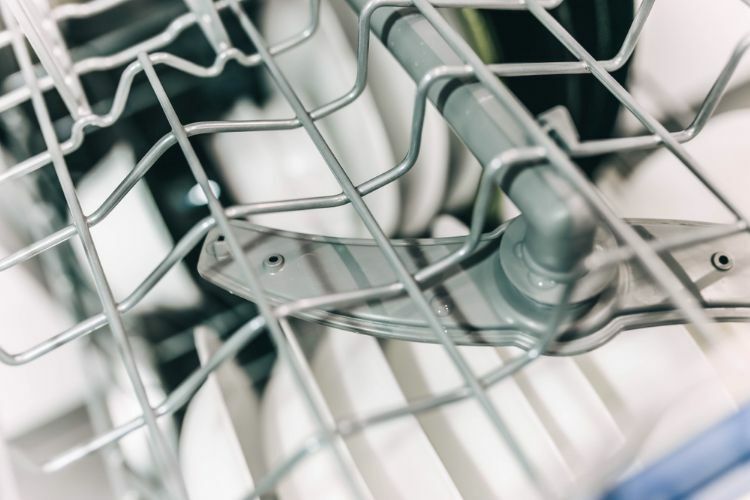 Try running the hot water in your kitchen sink before turning on the dishwasher to ensure your dishwasher actually fills with really hot water. Dishwasher temps at 120 degrees work best, so if you aren't getting good results, make sure your water heater is set to the right temp. Yes, Virginia, there is a right way to load the dishwasher. Stop the kitchen squabbling by learning the right way to balance your dishwasher for the best results. You may want to check your owner's manual for tips and try to avoid overloading the machine. 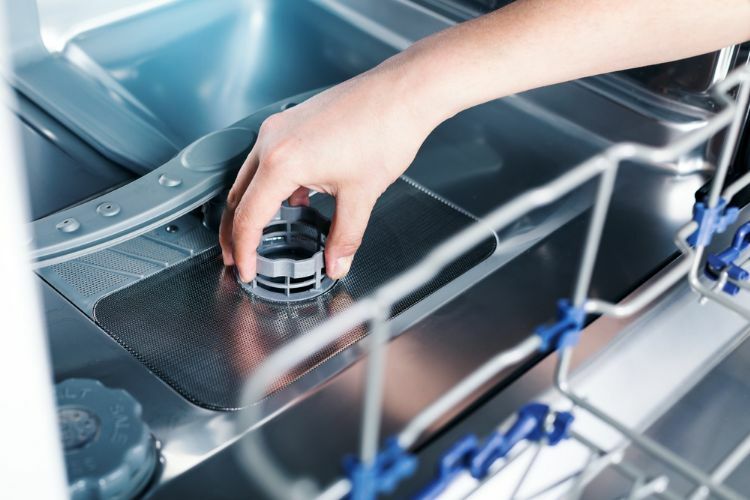 Over time, the gaskets and rubber seals on your dishwasher may wear out. If you've had your dishwasher for a few years, check to make sure they aren't dry and cracked. You can replace these on most models pretty easily, according to Bob Vila. Treat your favorite kitchen gadget with a little bit of love and you'll save yourself wrinkly fingers and hours of scouring pans. Make sure to share these tips with your friends on Facebook! Whether you have a regular pillow, down, microfiber or memory foam -- you can get rid of those pesky stains.